In this week’s OpenPaddock.net Podcast, Kevin, Mike, and Mike recap an exciting Rolex 24 at Daytona and the opening round of the Rally America National Championship, the Sno*Drift Rally. They also go through the week’s news in Formula One and IndyCar including a look at the recently released 2013 IZOD IndyCar Series rule book. 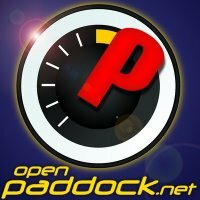 If you haven’t done so already, be sure to like us on Facebook, http://www.facebook.com/OpenPaddock, and follow us on Twitter, http://www.twitter.com/OpenPaddock, for a chance to win some sweet swag from MAZDASPEED Motorsports Development.